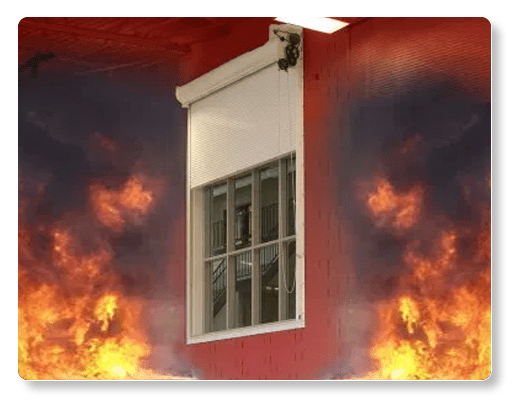 FIRE RATED WINDOW SHUTTERS – COOKSON – ESC20 – Cookson’s Rolling Window Shutters are an attractive and unobtrusive option to secure finished openings. The model ESC20 features an integral frame and sill. These shutters’ integral frames and sills are compatible with rated and non-rated walls. Easy to install, these slip-in units can be set into existing walls with no exposed edges. This space-saving product’s concealed tubular motor delivers a solution for strict opening limitations. Can be used in both interior and exterior openings and by incorporating compact components, they offer a more streamlined look than traditional rolling shutters and doors.